Today’s post is a special one. A good friend of mine just recently found out he is now cancer free. Congratulations and it’s now time to celebrate healing and feeling good! So what better way than to start with some sparkling wine! 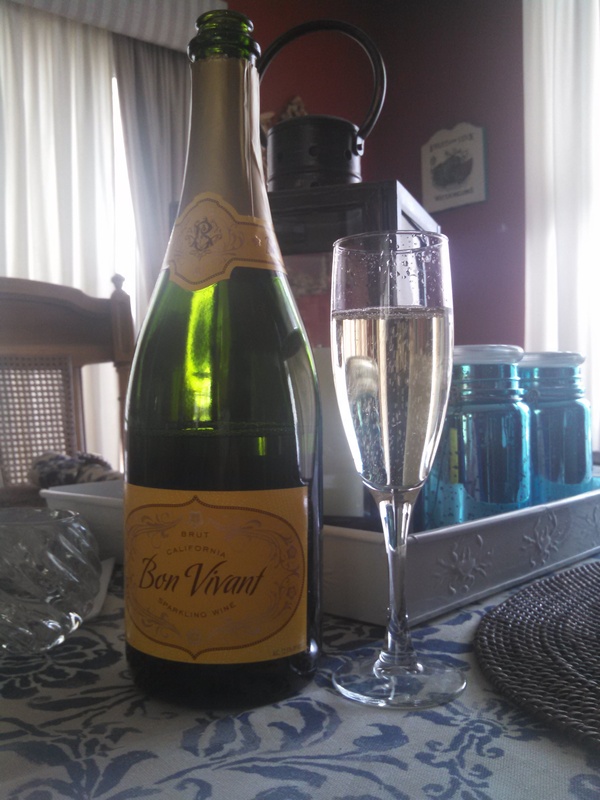 During a spur of the moment trip to Virginia over the holidays, I purchased the Bon Vivant Brut. Now, why did I go all the way over here? Because, aside from a few exceptions, you can purchase wine in any grocery store in the state for lovers. I’ve always liked taking random trips to VA to buy wine on the cheap. A drive to Dulles back in December of last year led me to the Wegmans, which always has a great selection at very affordable prices. So based on recommendations for ways to celebrate the holidays, I grabbed a bottle here. The price tag was a bit steep at $19.99. But, hey it’s the holidays and we like to spend big and over indulge. So why not? However, with circumstances being what they were, maybe champagne wasn’t appropriate at the time. And with all of us going out to holiday parties, throughout the month of December, a lot of us were indulging in egg nog, cocktails, and fuller bodied red wines. 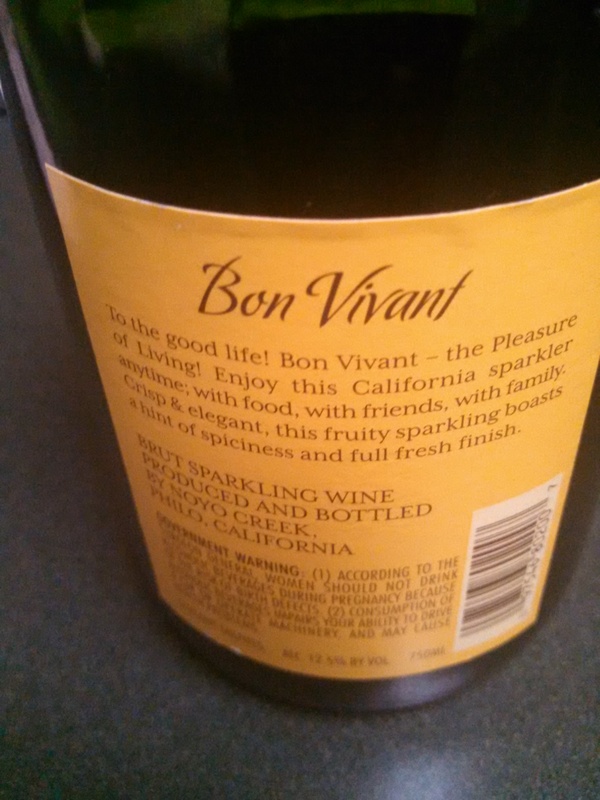 But that’s the good thing about sparkling wine and champagne. It can be saved for any time of celebration and to show love. Well today was that day. So how does it taste? It was easy to drink and enjoy. I detected some pear and apple flavors but, nowhere on the back label gives any kind of synopsis of the wine itself. The added fun is that you can use your detective skills and intuition as to what you think might be contained inside. Not much is listed in various searches, aside from the company site which says the California wine is made in a French Style with Chardonnay and Pinot Noir grapes. Sound easy or complicated enough for you? Ha. 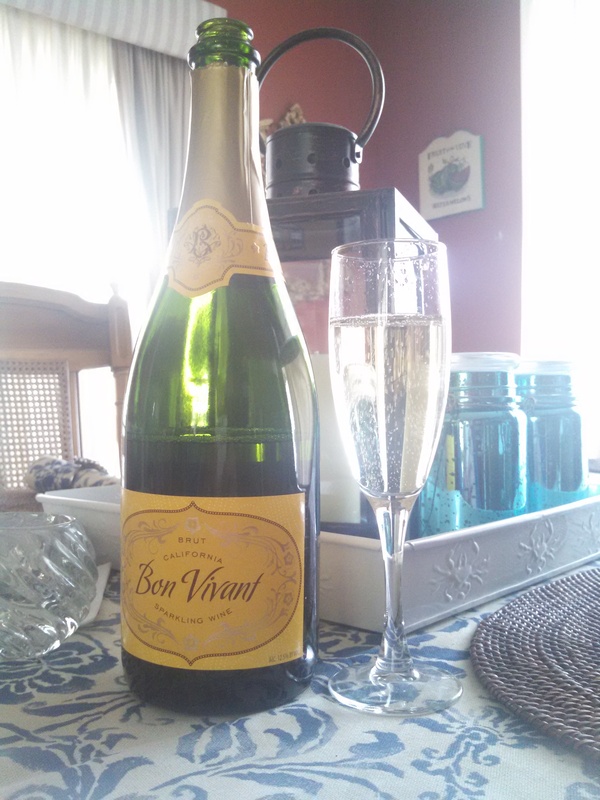 Nevertheless, this is a drink to be savored and to symbolize what makes you happy and makes you feel great. That is what life is all about. Even though the price is a bit high, for a grocery store deal, at $20, I would buy this again and recommend this to anyone for any special occasion. It’s all about celebrating joys and accomplishments in your life. And the wines we drink can be a small part of that. We’re approaching the warm weather months and that’s cause for celebration itself! I congratulate you, bravo, and thanks to you. Hi! It’s the wine guy! Thank you for your visit to my site on Saturday. I’m glad you liked my post “How to Get Loyal Visitors to…”. I’m sorry I couldn’t come thank you sooner.